Step inside Abaco and step back in time to colonial Tenerife. 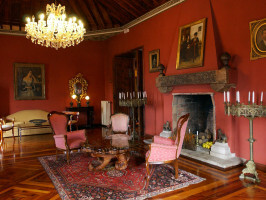 This museum is located in a historic hacienda that is steeped in the fascinating and at times tragic history of the island. 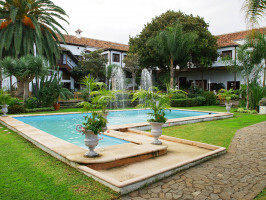 Visiting the luxurious mansion and its beautifully landscaped grounds on the outskirts of Puerto de la Cruz will give you an insight into the lives of the descendants of the conquistadors who overthrew the native Guanches and enslaved them to work on their estates. 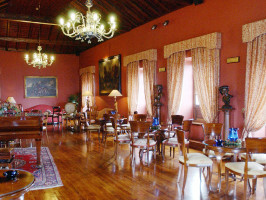 The current mansion, which was built in the 18th century by the Benitez de Lugo family, has passed through many hands since then, including an English family during Victorian times and a Czechoslovakian World War II hero. You will see the opulence in which the island’s nobility lived: immaculately preserved antiques blend in seamlessly with traditional Canarian décor. The tenor of the original construction has been respected throughout though it has been equipped with contemporary amenities and services. As a living museum, it retains an emblematic style and is preserved by the local authorities as a Building of Cultural Interest. 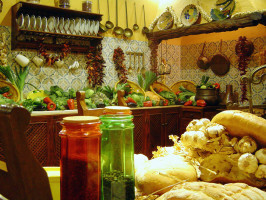 Abaco is a relaxing way to learn about Tenerife’s past and to travel through the centuries. As well as the museum, there is a Classic Spanish dressage show. A visit inside the mansion (45 min.) 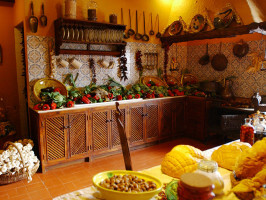 along with the Classic Spanish dressage show, accompanied by a glass of sangria or fruit cocktail is advised. Flamenco Show Until 15 Oct / 17 Start time: 21:00 End time: 22:45 approx. Flamenco Show: From 16 Oct / 17 Start time 20:30 End time: 22:00 hours approx.